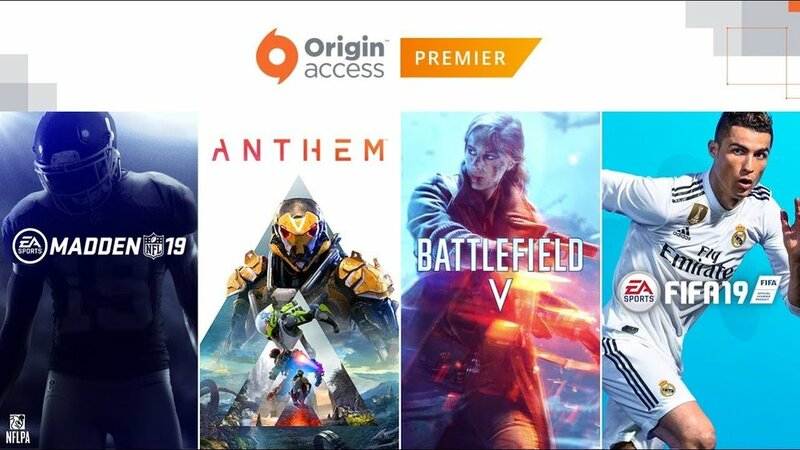 Following it's reveal during last June's EA Access event, Electronic Arts have announced the new Premier version of Origin Access will launch on July 30th. The PC exclusive service is priced at $14.99 a month of $99.99 for the full year. Subscribers will have access to same back catalogue vaults as basic users, but also all of EA's future titles five days ahead of release. This latest iteration shows a developing and previously unseen company push towards all access services. Electronic Arts have strategically advertised their best selling franchises such as this year's Battlefield V and FIFA 19 to convert returning customers. While banking on Bioware's hotly anticipated Anthem and the long requested return of Madden on PC to bring in a new and estranged audience. But this does raise questions regarding the original Origin Access platform. Though the Xbox One version does include many contemporary and backward compatible titles, the newest additions are usually included a year after retail release. A far cry from Microsoft's Xbox Game Pass, which includes all future first party Xbox titles for $9.99 a month. Origin Access Premier isn't EA's only grand experiment. This past June saw the announcement of a still in development cloud streaming game service.